Size: 22 x 19 inches. Title: 'Regnum Hiberniae' from 'Atlas Novus'. 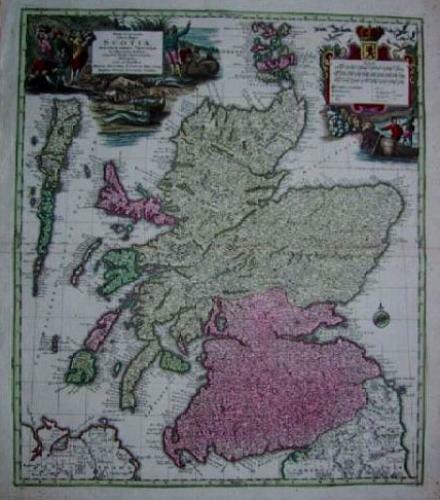 A very decorative and detailed map of Scotland by Matthias Seutter who was an eminent German map-maker in Augsburg, appointed Geographer to the Imperial Court. The map has original colour and is in excellent condition with wide margins and only some minor foxing.